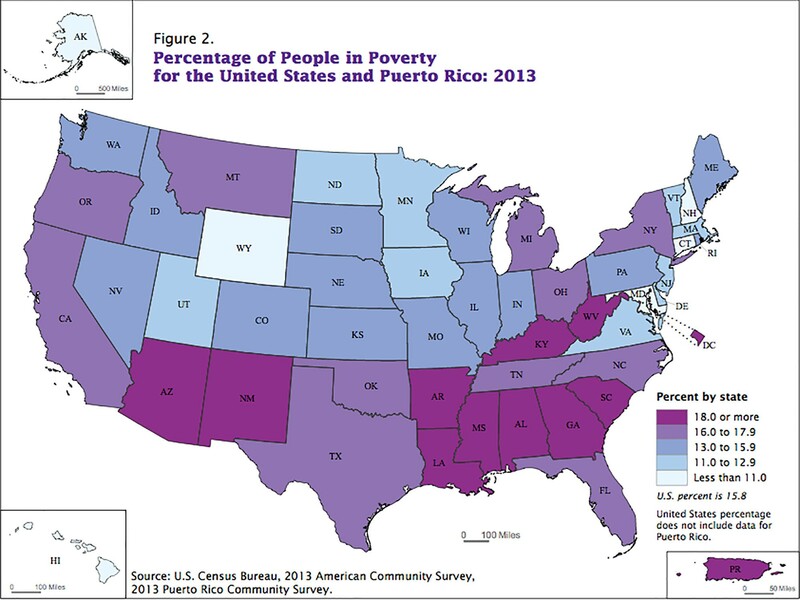 Poverty rates fell slightly in the state and nation last year, but there were wide gaps in the poverty rate by race and ethnic group at both levels, the Census Bureau reported. 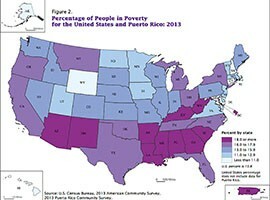 WASHINGTON – Arizona’s poverty rate inched down to 18.6 percent in 2013, but poverty rates for minority groups in the state remained far above those of whites, according to data released Thursday by the Census Bureau. Arizona’s overall poverty rate was well above the national rate of 15.8 percent, according to data from the bureau’s American Community Survey. When it came to poverty distribution, however, the state mirrored the national trend of minorities accounting for the majority of those in poverty. “In the current poverty figures, unfortunately we see a worrisome unevenness,” said Arloc Sherman, a senior fellow at the Center on Budget and Policy Priorities. In Arizona, that “unevenness” in 2013 ranged from an Asian poverty rate of 15.2 percent to American Indian poverty at 38.6 percent. In between were whites at 16. 3 percent, blacks at 22.9 percent and Hispanics at 28.9 percent. The Census data could only provide poverty estimates down to the local level for the largest counties. But in Arizona’s most-populous areas – Maricopa, Pima and Pinal counties as well as metro Phoenix – the disparities between races is evident. That came as little surprise to George Dean, president and CEO of the Greater Phoenix Urban League. He pointed to several factors that could be driving the state’s relatively high poverty rates, including a “not-the-best” education system, generally low wages and a slow recovery from the recession. All those factors hit people of color especially hard, he said. While the state has struggled to recover from the recession, data released Thursday shows the Arizona economy improving, with median household incomes level and poverty rates falling. But an improving economy can only do so much for minorities who fell farther during the recession and now have more of a climb to get back on their feet, Dean said. Kelly McGowan, strategic initiatives manager at Arizona Community Action Association, said more attention needs to be focused on minority groups in the state. McGowan said that she thinks much of the disparity along racial lines can be attributed to access to wealth and opportunity. Dean said that before conditions can improve for minority groups in the state, people need to focus on the problem of poverty. “Attention has been more focused on illegal immigrants and securing the border than making educational achievement, keeping people educated, and making jobs available – the things that get you out of poverty,” he said. Arizona's overall poverty rate slipped to 18.6 percent in 2013, but that was still well over the national rate of 15.8 percent for the year, according to a new Census Bureau report. Poverty rates in Arizona countes in 2013 ranged from 16.1 percent in Yavapai County to 40.1 percent in Apache County. Data was available for 10 of the 15 counties. 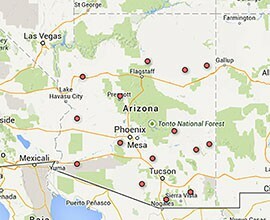 Click on the interactive map for details by county.